Your floral designer should take all elements of the environment into consideration when designing corporate flowers for the interior space. Considerations should include the architecture of the space, the surrounding colour, decor, which variety of flowers would suit the space, the brand, and of course your personal tastes. The weekly corporate flower arrangements should never be the same. The designs should forever evolve and you should always look forward to seeing a fresh design each week. Your florist should be committed to your satisfaction no matter your request. Always consult with the designer of any dislikes you may have of certain flowers and communicate if there is anyone likely to experience any allergies. Scent may cause an issue and some small corporate offices and restaurants do not always appreciate heavily scented blooms as they could affect the taste of wine and food. On the other hand some business like hair salons, day spas, and large open venues often appreciate the fragrance of blooms as they can heighten the sense of mood and create a positive ambience. Sourcing premium quality product is essential in ensuring the flowers look their best for the entire contracted time. Be cautious of a florist who is supplying you with flowers that barely last a week. They are most likely ‘rotating’ stock and you are not getting the standard of product that you are paying for. Choose a corporate florist carefully for all your flower needs. Whether it be a bouquet for a gift, or arrangements for a special event, it is important the florist understands your needs, style, and budget. Your florist should be able to design flowers beyond your expectations, be informative of flower availability and pricing, and of course provide you with flawless customer service. 1. Ideally, cut the stems on an angle under cool water. This will allow the flowers to take water more efficiently. 2. Strip the stems of foliage or thorns that may sit below the water line to ensure that bacteria growth is minimised. 3. Make sure the vessel/vase is cleaned thoroughly before arranging the freshly cut flowers. Excellent post. I was checking continuously this weblog and I am impressed! Very useful info specifically the ultimate phase 🙂 I care for such information much. I used to be seeking this certain info for a long time. Thank you and good luck. I never thought of it as you have but of course why would I? I am not a florist. In Australia nobody has ever used the term corporate flowers or at least not from what I have heard. When ordering flowers the advise we get is great but being so specific makes it possible to really narrow down what a client needs and which flowers are appropriate. Great post. Thanks Bill. We have used this term in the UK for ages. Many do. It’s a term for business to business flowers. Yet, we love to revise the way we name flowers. We love reflect how people actually think and feel about using flowers. To help unpack the interpretation about enjoying the giving and recieving of flowers. Glad you were able to find the post useful. 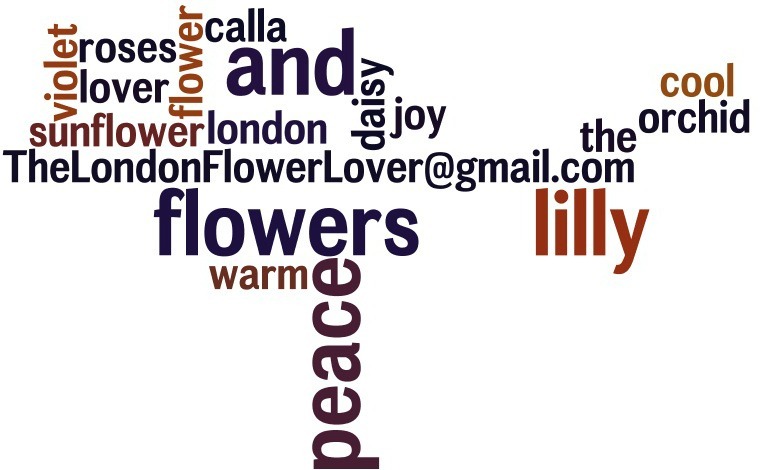 This whole London Flower Lover blog has come from a humble inquiry,always interested in how we can help others more. We are in this world of abundance. Beauty, joy, loveliness and we also love the way flowers can be used to focus on strengthening the strenghts that we all have. That’s the emotional literacy piece of our work here. Our cataylysing work.